The story of the small Trojan that could! 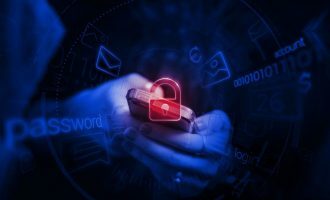 The main danger posed by apps that gain root access to a mobile device without the user’s knowledge is that they can provide access to far more advanced and dangerous malware with highly innovative architecture. We feared that Trojans obtaining unauthorized superuser privileges to install legitimate apps and display advertising would eventually start installing malware. And our worst fears have been realized: rooting malware has begun spreading the most sophisticated mobile Trojans we have ever seen. In our previous article we wrote about the increasing popularity of malware for Android that gains root access to a device and uses it to install apps and display aggressive advertising. Once this type of malicious program penetrates a device, it often becomes virtually impossible to use it due to the sheer number of annoying ads and installed apps. 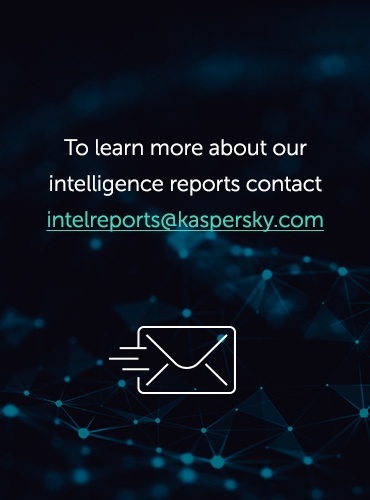 Since the first article (August 2015), things have changed for the worse – the number of malware families of this type has increased from four to 11 and they are spreading more actively and becoming much better at “rooting”. According to our estimates, Trojans with superuser privileges attacked about 10% of Android-based mobile devices in the second half of 2015. There were also cases of these programs being pre-installed on new mobile devices coming from China. However, it’s worth noting that Android-based devices running versions higher than 4.4.4 have much fewer vulnerabilities that can be exploited to gain root access. So basically, the malware targets earlier versions of the OS that are still installed on the majority of devices. 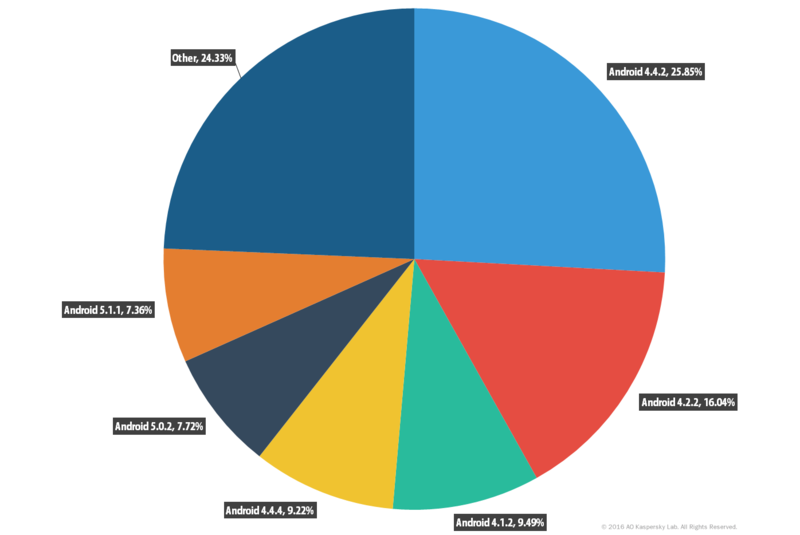 The chart below shows the distribution of our product users by Android version. As can be seen from the chart, about 60% use a device on which these Trojans can gain root access. The owners of the Trojans described above, such as Leech, Ztorg, Gorpo (as well as the new malware family Trojan.AndroidOS.Iop) are working together. Devices infected by these malicious programs usually form a kind of “advertising botnet” via which advertising Trojans distribute each other as well as the advertised apps. Within a few minutes of installing one of these Trojans, all other active malware on the “network” is enabled on the victim’s device. Cybercriminals are cashing in on advertising and installing legitimate applications. In 2015, this “advertising botnet” was used to distribute malware posing a direct threat to the user. 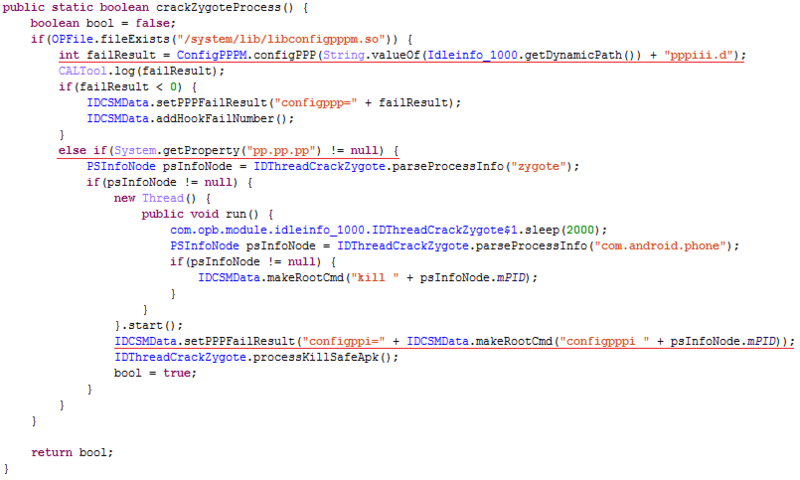 This is how one of the most sophisticated mobile Trojans we have ever analyzed was spread. Main part of malicious functionality exists in device RAM only. Trojan modifies Zygote system process in the memory to achieve persistence. Industrial approaches used in its development, suggesting its authors are highly qualified. The Trojan is installed in the folder containing the system applications, under names that system applications are likely to have (e.g. AndroidGuardianship.apk, GoogleServerInfo.apk, USBUsageInfo.apk etc.). mModuleUpdate – links required to download the DEX files (modules). If the mModuleUpdate field is not filled, the DEX files are downloaded and saved. Then these files are downloaded in the context of the malicious program using DexClassLoader.loadClass(). After that, the modules are removed from the disk, i.e. they only remain in device memory, which seriously hampers their detection and removal by antivirus programs. heartbeatResponce(Context context, HashMap serverResponse) – used to deliver the command server response to the module. This sort of mechanism allows the app downloader to execute modules implementing different functionality, as well as coordinating and synchronizing them. The apps and the loaded modules use the “android bin”, “conbb”, “configopb”, “feedback” and “systemcore” files stored in the folder /system/bin to perform various actions on the system using superuser privileges. It goes without saying that a clean system does contain these files. Considering the aforementioned modular architecture and privileged access to the device, the malware can create literally anything. The capabilities of the uploaded modules are limited only by the imagination and skills of the virus writers. These malicious programs (the app loader and the modules that it downloads) belong to different types of Trojans, but all of them were all included in our antivirus databases under the name Triada. OPBUpdate_3000/Calendar_1000 – two modules with duplicate functionality capable of downloading, installing and running an application (detected as Trojan-Downloader.AndroidOS.Triada.a). Registered_1000 – module capable of sending an SMS upon the request of the command server. Detected as Trojan-SMS.AndroidOS.Triada.a. Idleinfo_1000 – module that targets applications that use SMS to make in-app purchases (intercepts outgoing text messages). Detected as Trojan-Banker.AndroidOS.Triada.a. A distinctive feature of the malicious application is the use of the Zygote process to implement its code in the context of all the applications on the device. The Zygote process is the parent process for all Android applications. It contains system libraries and frameworks used by almost all applications. This process is a template for each new application, which means that once the Trojan enters the process, it becomes part of the template and will end up in each application run on the device. This is the first time we have come across this technique in the wild; Zygote was only previously used in proof-of-concepts. The chart below shows the architecture of the malicious program. Let us take a closer look at how the Zygote process is infected. All the magic starts in the crackZygoteProcess() function from the Trojan-Banker module. Its code is displayed in the screenshot below. First, the Trojan loads the shared library libconfigpppm.so and invokes the configPPP() function exported by this library (the first highlighted string on the screenshot). Second, if configPPP() succeeds in calling System.getProperty() from Android API with the unusual argument ‘pp.pp.pp’ (it will be explained later why this action is performed) and the returned value is not null, the Trojan runs the ELF-executable configpppi with the PID of the zygote process as an argument. Let’s go through the process in order. The first thing the Trojan does inside the configPPP() function from libconfigpppm.so is to obtain the load address (in the address space of its process) of the file that implements the ActivityThread.main() function from Android API. Next, using the load address and /proc/self/maps, the Trojan discovers the name and path to the file on the disk. In most cases, it will be /system/framework/framework.odex. If the comparison fails, configPPP aborts its execution and returns a 103 error code. If the comparison succeeds, the Trojan starts patching framework.odex in memory. Then, the malware obtains the Class structure of ActivityThread (which is defined in framework.odex) by using dexFindClass and dexGetClassData functions. The authors of the malware copied these functions from Dalvik Virtual Machine. The structure contains various information about a dex class and is defined in AOSP. Using the structure, Triada iterates through a list of methods implemented in this class looking for a method named “main”. After the method has been found, the Trojan obtains its bytecode with the help of the dexGetCode function (also copied from open sources). When the bytecode is obtained, it is compared with the corresponding bytecode from the file on the disk, thereby checking if the framework has already been patched. If the method has already been patched, the malware aborts its execution and returns a 103 error code. After that, the Trojan starts looking for the first string in the DEX strings table that are between 32 and 64 symbols long. After a string has been found, the Trojan replaces it with “/system/lib/libconfigpppl.so” and saves its ID. Next, Triada accesses the DEX methods table and tries to obtain a method with one of the following names – “loop“, “attach” or “setArgV0“. It takes the first one that occurs in the table, or, if there are no methods with these names, the penultimate method from the DEX methods table, and replaces it with a standard System.load() method (one that loads shared libraries to process address space) and saves its ID. The pseudocode that performs this manipulation is shown below. where strID is thesaved ID of the replaced string, and methID is the saved ID of the replaced method. After these modifications, when ActivityThread.main() is called, it will automatically load the shared library “/system/lib/libconfigpppl.so” to the context of the caller process. But because framework.odex is only patched in the context of the Trojan process, the library will only be uploaded in the Trojan process. This seemingly meaningless action is performed in order to test the ability of the malicious program to modify the Zygote process. If the steps described above do not cause errors in the context of the application, they will not cause errors in the context of the system process. Such a complex operation as changing the Zygote address space has been approached very carefully by the attackers, since the slightest error in this process can result in immediate system failure. That is why the “test run” is performed to check the efficiency of the methods on the user’s device. Finally, the Trojan calls the patched ActivityThread.main(), thus loading /system/lib/libconfigpppl.so in its address space. We will describe the purpose of this library after explaining the functionality of the configpppi ELF-executable that performs the actual modification of Zygote’s address space. In fact, configpppi also patches ActivityThread.main() from framework.odex, but unlike libconfigpppm.so, it receives the PID of a process running on the system as an argument and performs patching in the context of this process. In this case, the Trojan patches the Zygote process. It uses information obtained at the previous stage (in libconfigpppm.so) and stored in /data/configppp/cpppimpt.db to modify the Zygote process via ptrace system­­­­­ calls. The Zygote process is a daemon whose purpose is to launch Android applications. It receives requests to launch an application through /dev/socket/zygote. Every launch request triggers a fork() call. When fork() occurs the system creates a clone of the process – a child process that is a full copy of a parent. Zygote contains all the necessary system libraries and frameworks, so every new Android application will receive everything it needs to execute. This means every application is a child of the Zygote process and after patching, every new application will receive framework.odex modified by the Trojan (with libconfigpppl.so injected). In other words, libconfigpppl.so ends up in all new apps and can modify how they work. 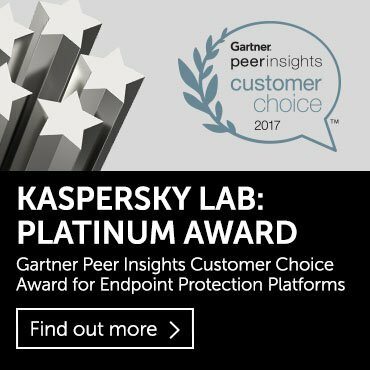 This opens up a wide range of opportunities for the cybercriminals. When the shared library /system/lib/libconfigpppl.so is loaded inside the Zygote by System.load(), the system invokes its JNI_OnLoad() function. First, the Trojan restores the string and method replaced earlier by /system/lib/libconfigpppm.so or configpppi, using the information from /data/configppp/cpppimpt.db. Second, Triada loads the DEX file configpppl.jar. This is done with the help of a standard Android API via dalvik.system.DexClassLoader. To ensure that DEX is successfully loaded, the Trojan calls its method pppMain from the PPPMain class. This method only outputs to logcat string “PPP main started”. The hooks are placed using the standard RegisterNatives() function. This function is designed to perform binding Java methods with their native implementation (i.e. written with C/C++). 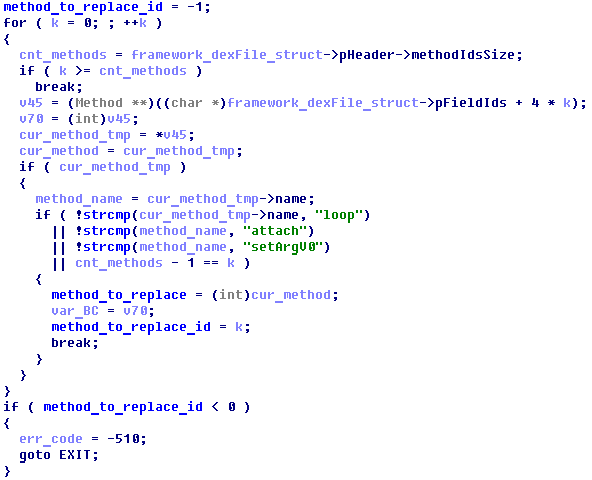 Thus, the Trojan substitutes standard methods from Android Framework with methods implemented in libconfigpppl.so. The function which substitutes the original getProperty() first checks its argument. If the argument is the “pp.pp.pp” string (which was mentioned earlier), then the function immediately returns “true”. Otherwise, it calls the original getProperty() with its passed argument. Calling the hooked getProperty() with “pp.pp.pp” as an argument is used to check whether or not hooking of Android Framework functions was successful. If the hooked getProperty() returned “true”, then the Trojan will start configpppi ELF with the PID of the Zygote process as an argument. After that, the the Trojan “kills” processes of the applications: “com.android.phone”, “com.android.settings”, “com.android.mms”. These are the standard “Phone”, “Settings” and “Messaging” – applications that are the Trojan’s primary targets. The system starts these apps automatically the next time the device is unblocked. After they start they will contain framework.odex with all the hooks placed by libconfigpppl.so. The function which substitutes newApplication(), first calls the original function, and then invokes two functions from configpppl.jar: onModuleCreate() and onModuleInit(). Thus, the Trojan tracks its host application and changes its behavior accordingly. For example, if mMainAppType is set to -1 (i.e. the host application is com.android.email, com.android.contacts etc. ), the Trojan does nothing. If the host application is com.android.phone, Triada registers broadcast receivers for the intents with actions com.ops.sms.core.broadcast.request.status and com.ops.sms.core.broadcast.back.open.gprs.network. It first sets the global variable mLastSmsShieldStatusTime to the current date and time, then turns on mobile network data (GPRS Internet). The first two are the same as in the previous case, and the third sends an SMS, which is passed off as extra intent data. Depending on the result, it calls one of the following functions: PISmsCore.invokeMMMain() or PISmsCore.invokeOtherMain(). If a function is invoked from PISmsCore.invokeMMMain(), then a new thread is created. This thread enters an endless loop and turns on mobile network data, and won’t let the user turn it off. The most interesting action among the above is the substitution of the system binders “isms” and “isms2”. Binder is an Android-specific inter-process communication mechanism, and remote method invocation system. 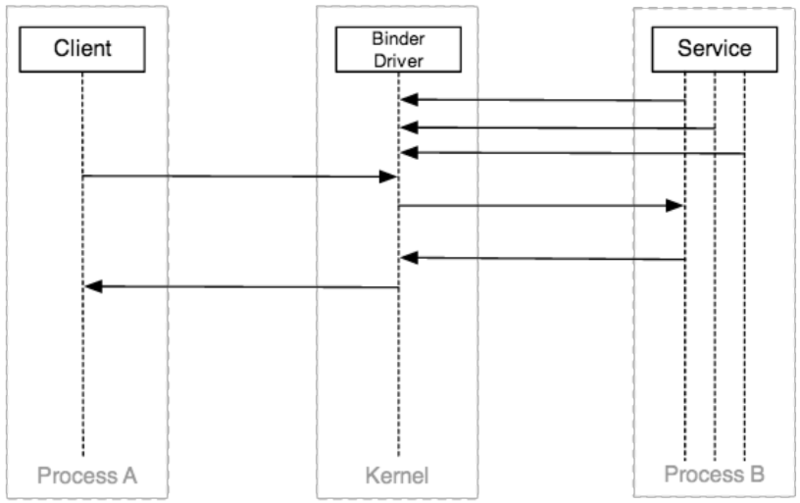 All communication between client and server applications within Binder pass through a special Linux device driver – /dev/binder. The scheme of inter-process communication via the Binder mechanism is presented below. For example, when an application wants to send an SMS it calls the sendTextMessage (or sendMultipartTextMessage) function, which in fact leads to the transact() method of an “isms” (or “isms2”) binder object being called. The transact() method is redefined in the malicious “isms” binder realization, replacing the original. So, when the parent application of the Trojan sends an SMS it leads to the call of the malicious transact() method. The C&C server should respond with some data that, among other things, contains a new SMS destination address (number) and new SMS text. If a network connection is not available, then the Trojan tries to find the appropriate data in the local configuration files that are stored in the /sdcard/Android/com/register/localuseinfo/ directory in encrypted form. By passing the new SMS destination address and new SMS text to the original “isms” binder transact() method. When the Trojan sends an SMS in one of these ways, it saves the new SMS destination address and new SMS text in a special variable. And, before sending the new SMS, it checks if it has not already been sent. This helps to prevent endless recursive calls of the transact() method, meaning only one SMS will be sent per originally sent message (by the parent application). Besides the PISmsCore.initInstance() function, PISmsCore.invokeMMMain() calls another function – PIMMCrack.initInstance(). This method tries to determine which version of mm.sms.purchasesdk the host application is using (the Trojan knows for sure that the host application is using this SDK, because it has checked for libsmsiap.so, which is part of this SDK). mm.sms.purchasesdk is the SDK of Chinese origin – it is used by app developers for enabling In-App purchasing via SMS. Thus, the mechanism described in this chapter allows the Trojan to modify outgoing SMS messages that are sent by other applications. We presume that the Trojan authors use this opportunity to secretly steal users’ money. For example, when a user buys something in some Android game shop, and if this game uses SDK for in-app purchases via SMS (such as mm.sms.purchasesdk), the Trojan’s authors are likely to modify the outgoing SMS so as to receive the user’s money instead of the game developers. The user doesn’t notice that his money has been stolen; instead he presumes he hasn’t received the appropriate content and will then complain to the game developers. The original dispatchPdus() is used (as shown in the diagram below) to dispatch PDUs (Protocol Data Unit, low-level data entity used in many communication protocols) of incoming SMS messages to the corresponding broadcast intent. Then, all applications that subscribed for the intent are able to receive and process, according to their needs, the text message that is contained in the form of PDUs inside of this intent. The function which substitutes dispatchPdus() invokes the moduleDispatchPdus() method from configpppl.jar. It checks the host application and if the application is not com.android.phone, it informs and broadcasts to all apps in the system intent with the action android.provider.Telephony.SMS_RECEIVED (along with the received PDUs). This standard intent informs all other applications (e.g. “Messaging” or “Hangouts” of the incoming SMS). If the host for the malware is com.android.phone, then Triada checks the originating address and message body of the incoming SMS. The information that the Trojan needs to check is contained within two directories: /sdcard/Android/com/register/infowaitreceive/ and /sdcard/Android/com/register/historyInfo/. The names of the files that are stored in these directories contain postfix, which signifies the date and time of the last response from the C&C. If these files were updated earlier than the last response was received, the Trojan deletes these files and aborts the checking of the incoming SMS. Otherwise, the malware decrypts all the files from the directories mentioned above and extracts phone numbers and keywords from them to perform filtering. If the SMS was received from one of these numbers or the message contains at least one keyword, the Trojan broadcasts an intent with the action android.provider.Telephony.SMS_RECEIVEDcom.android.sms.core along with the message. This is an intent with a custom action and only those applications that explicitly subscribe to this intent, will receive it. There are no such applications on “clean” Android devices. In addition, this method could be used to organize “exclusive” message distribution for Triada modules. If some of the new modules subscribe to the intent with the action android.provider.Telephony.SMS_RECEIVEDcom.android.sms.core, they will receive the filtered message exclusively, without any other applications on the system knowing about it. Applications that gain root access to a mobile device without the user’s knowledge can provide access to much more advanced and dangerous malware, in particular, to Triada, the most sophisticated mobile Trojans we know. Once Triada is on a device, it penetrates almost all the running processes, and continues to exist in the memory only. In addition, all separately running Trojan processes are hidden from the user and other applications. As a result, it is extremely difficult for both the user and antivirus solutions to detect and remove the Trojan. The main function of the Trojan is to redirect financial SMS transactions when the user makes online payments to buy additional content in legitimate apps. The money goes to the attackers rather than to the software developer. Depending on whether or not the user gets the content he pays for, the Trojan either steals the money from the user (if the user does not receive the content) or from the legitimate software developers (if the user receives the content). Triada has clearly been designed by cybercriminals who know the targeted mobile platform very well. 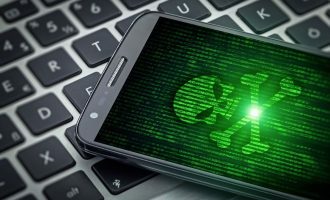 The range of techniques used by the Trojan is not found in any other known mobile malware. The methods of concealing and achieving persistence used by Triada can effectively avoid detection and removal of all malware components after installation on the infected device; the modular architecture allows attackers to extend and alter the functionality so they are limited only by the capabilities of the operating system and applications installed on the device. Since the malware penetrates all applications installed on the system, the cybercriminals can potentially modify their logic to implement new attack vectors against users and maximize their profits. 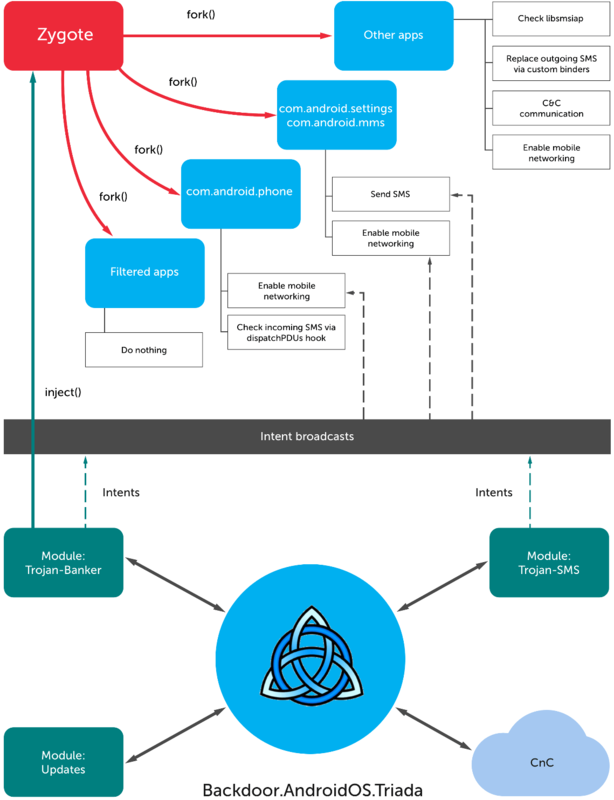 Triada is as complex as any malware for Windows, which marks a kind of Rubicon in the evolution of threats targeting Android. 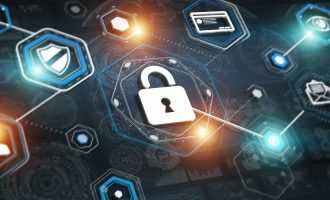 Whereas previously, the majority of Trojans for the platform were relatively primitive, new threats with a high level of technical complexity have now come to the fore. How can we prevent Triada Trojan to attack our applications.? What is the entry point? Since few days , zygote ask me root privilege , is it a clue for infection ? 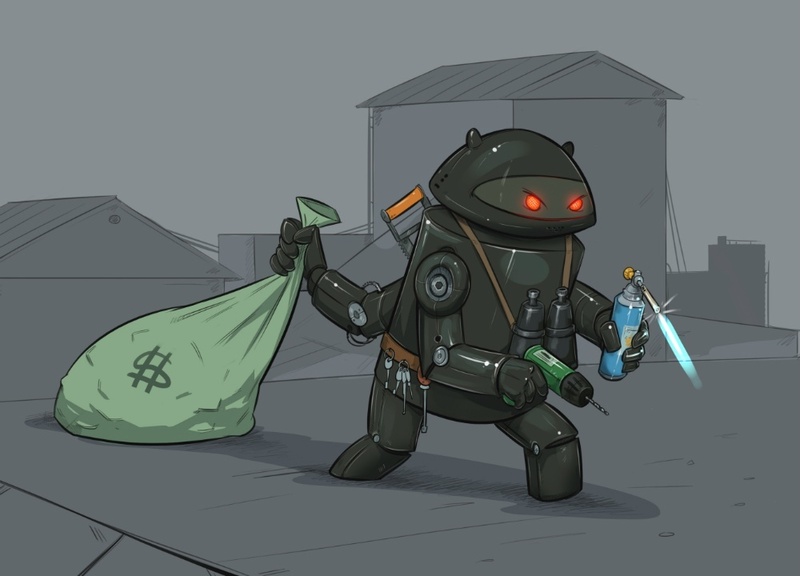 How can Android users protect their devices from the Triada Trojan?